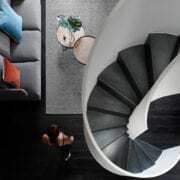 6 Things To Think About When Purchasing A Staircase. What is the Purpose of the Stair? What is the purpose of the stair is the first important question. Of course the staircase is to allow people to traverse from one level to another. However, the purpose of the stair could be a factor in the size and style of the staircase you purchase. One client may want the staircase to be an architect statement piece, while another client might want the staircase to fade into the background or not to be seen at all. How will the stair be used? – Is it to access bedrooms, a study a garage etc? Each answer to these questions will govern what type and size of the staircase you should purchase. What is the Climate and External Environment like Where your Staircase is to go? 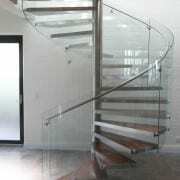 The climate where your staircase is to be situated in, dictates the type of finish on your staircase. It is not just whether your staircase is going to be inside or out, but whether you are close to the sea or not, can be factor when thinking about your stair purchase. If you are close to the sea or live in a harsh environment, you may be required to think more deeply about the finishes on your staircase. How much space do I have to my stair in? Or put another way how much space will my staircase take up? 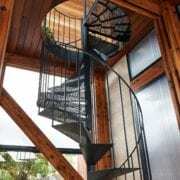 If you are purchasing a spiral staircase, the diameter of the staircase will dictate how much space you require. Is the stair made to order? 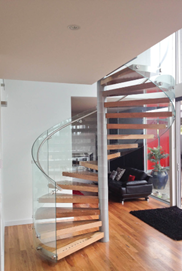 Enzie Spiral staircases are manufactured to individual requirements. 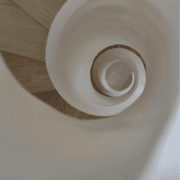 Each of our spiral staircases are made to order ensuring that you get the staircase to suit your needs. 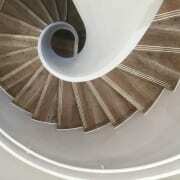 Not only that Enzie Stairs have at least 4 different styles of spirals staircases. Each Spiral staircase design also has several options in materials and finishes to have your stair made out of along with numerous colours, balustrade option and in some cases tread options. With all these options you truly get to feel like you have designed your own unique stair to suit your house. 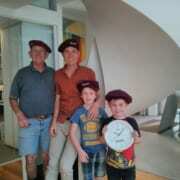 Is the company an Australian Company and is the stair Australian Made? Enzie Stairs is not only a fully owned Australian company; we also have a physical showroom and factory in Reservoir, Victoria. 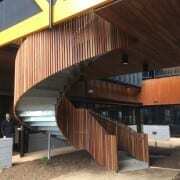 Yes, your stair is actually made right here in Australia. So if in the future you require extra parts etc, they are here in Australia making supply quick and easy. Not only are the stairs made here Enzie Stairs designed the staircases they are selling. Unlike other companies Enzie Stairs do not sell another companies Spiral Stair products; and it is not just the stairs but all the components are designed by us. 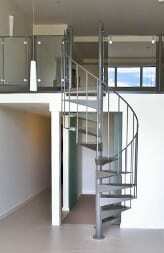 Yes you can actually ring and speak to the person who designed your staircase. Yes. 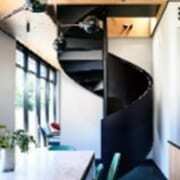 Enzie Spiral Staircases are modular. This makes the staircase easy to transport, easy to install and if in the future you need to move it, it is easy to take down and re-assemble in another location. https://enzie.com.au/wp-content/uploads/2017/10/Yorkshire_Brewery_08_1525x1000.jpg 1000 1525 admin https://enzie.com.au/wp-content/uploads/2013/04/logo_enzie_100.png admin2019-02-18 09:46:042019-02-20 21:24:056 Things To Think About When Purchasing A Staircase. The most attractive areas for building a dwelling can also be the most hostile environments for building materials. 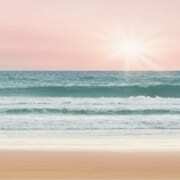 Australians love the coast, but the onshore breezes create corrosion problems that don’t exist even a few kilometers from the sea. While once upon a time people expected their cars to rust, their homes to be repainted very five years and their guttering to be replaced every 10 years. Now attitudes and expectations have changed, there is a greater readiness to divest responsibility or litigate if products do not perform”. It’s a case of “she’ll be right mate” changing to “she is not right mate and what are you going to do about it”. 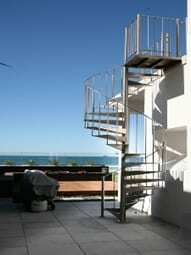 Enzie stairs has long offered galvanised external spiral stairs for a wide range of uses, but something more is needed to cater for the building and renovation boom brought on by the demographic shift to the coast in the past decade. Two metals that are known to resist salt spray are Aluminium and 316 Stainless Steel. Both the Classic Stair model and the Universal Stair model are now available in either of these materials. 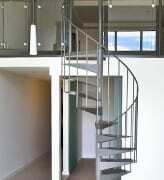 The few fixing bolts needed for these modular spiral stair systems are made of stainless steel. In addition, 22 standard colours are available, using a four or five-coat finish employing Wattyl, Jotun and Dulux primer and powder-coating products. The entire Dulux powder-coating range is available as an option. Add to these options a Hot Dipped galvanised option in the Universal Model. Hot Dip Galvanising offer a very high level of performance without the price tag of Stainless Steel. This option can be powder-coated, but here at Enzie we feel that this is introducing an element that might require maintenance down the track. Enzie Stairs, which gained national and international award recognition for innovation design, has joined the fight against coastal corrosion with the introduction of aluminium and marine grade 316 material to its safe, space-saving and easy to install modular spiral stairs.